Why Prescribe Category C by Brand? Why Prescribe Category C Medicines by Brand? Category C of the drug tariff contains medicines which are not readily available as other generic medicines, as they are typically modified release formulations. When writing generic prescriptions, Category C medicines are reimbursed at the price of the originator brand. 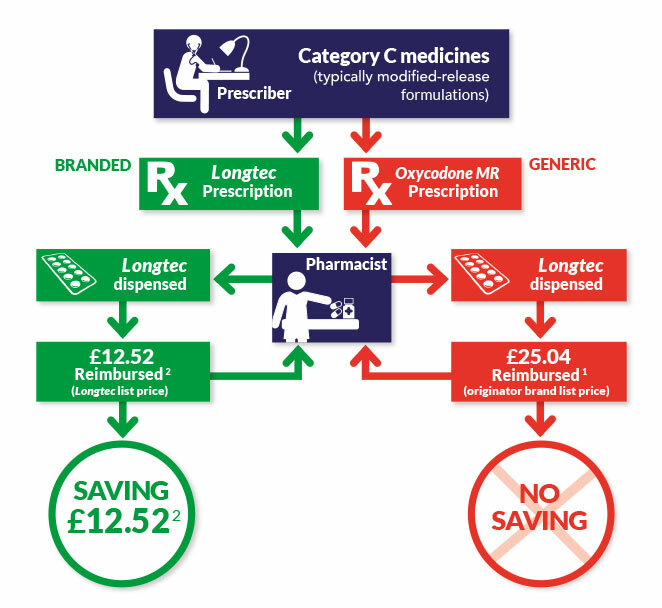 An example of how prescribing Longtec® 10mg tablets by brand can deliver drug cost savings to the NHS. Another Reason to Prescribe by Brand?